Elon Musk’s company, SpaceX, has accomplished a lot in its short time of existence. Most recently, SpaceX proved to the world that rockets could be reused when it launched the SES-10 communications satellite into orbit a few months ago with a used Falcon 9 rocket, which it also landed at the end of the mission. SpaceX has obviously been generating a lot of hype with the push to make space travel more plausible and affordable, and its next major mission comes this August when it is set to launch the USAF’s X-37B Orbital Test Vehicle (OTV) into space. Confirmation of this mission came straight from AF Secretary, Heather Wilson, during a U.S. Senate Armed Services Committee meeting. This is the fifth time an X-37B has been launched into space, with the first four launches being handled by United Launch Alliance Atlas 5 rockets. Over the last seven years, the X-37B has seen a total of 2,085 days in orbit, with its very first flight taking place back in April of 2010. But, that’s where the secrecy comes in as there’s no word as to what these unmanned orbiters have been doing in low-earth orbit. In the most recent landing back in May of 2017, the Air Force released a statement that claims the X-37B program “performs risk reduction, experimentation, and concept-of-operations development for reusable space-vehicle technologies.” Keep reading to learn a little more about the X-37B and its upcoming mission. Will We Ever Be a Spacefaring Civilization? While we do have a few humans in space at any given time, thanks to the International Space Station, we are far from sending humans into space routinely. The X-37B isn’t a manned vehicle, so there isn’t anyone going up with it. To put it simply, it’s a space drone with autonomous capabilities. That’s right; when it’s time to come home, the X-37B initiates earth reentry and landing all by itself. No pilots, no crew, just a ship on its own mission. 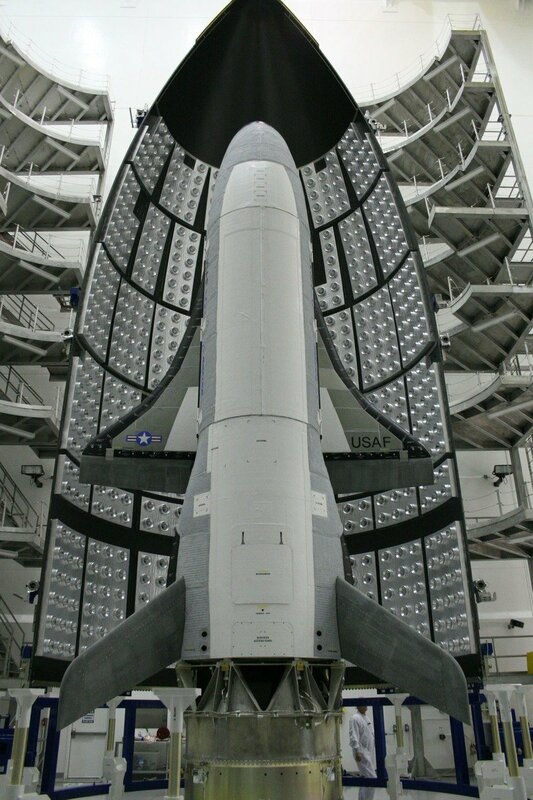 As to what this launch entails for the X-37B is as big a mystery as all of the missions that have come before. It’s orbit and engines could indicate that it’s used to move satellites into a lower orbit where photos from above would be much clearer, or it could be used to run long-term experiments on different organics to see how the effects of low gravity affect them. It is the first vehicle since NASA’s Shuttle Orbiter that has the ability to return experiments to Earth for analysis after a mission has been completed. All told, it can spend a total of 270 days in orbit, which is a significant improvement over the old Shuttle Orbiter. A chief engineer from Boeing has claimed that the X-37B could be modified to carry passengers, but whether or not that will ever happen is a completely different story. With being so small, it would probably be a pretty cramped place, especially spending 270 days in orbit, don’t you think?